If you are a blogger or you have a magazine or news website then 3 column WordPress theme layout will be perfect for you. 3 column WordPress themes will enable you to show more content above the fold which will increase the click rate and visitors will visit more pages per session. Another big advantage of the three column layout WordPress themes is the flexibility of ad placement. You have better options to place the sidebars and the ads. The conversion rate will definitely go up. 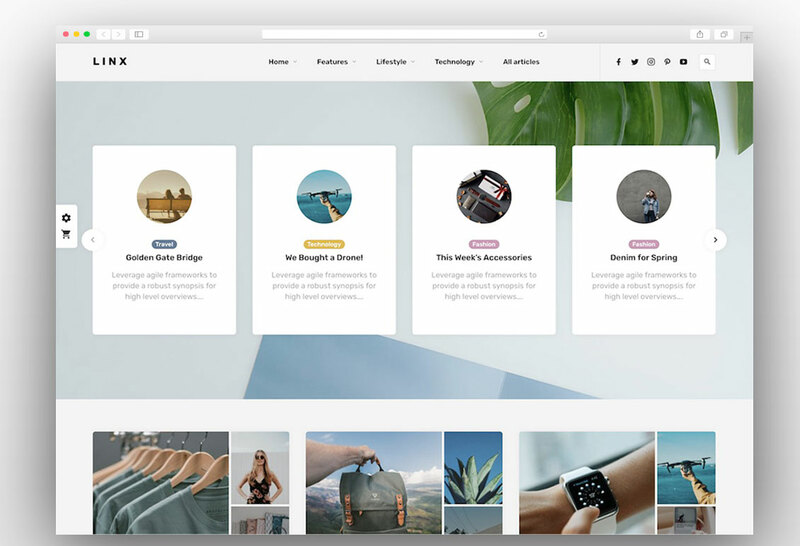 So if you are or blogger looking for personal blog WordPress theme then selecting the 3 column WordPress theme will offer you more flexibility in terms of sidebars and ad placements. 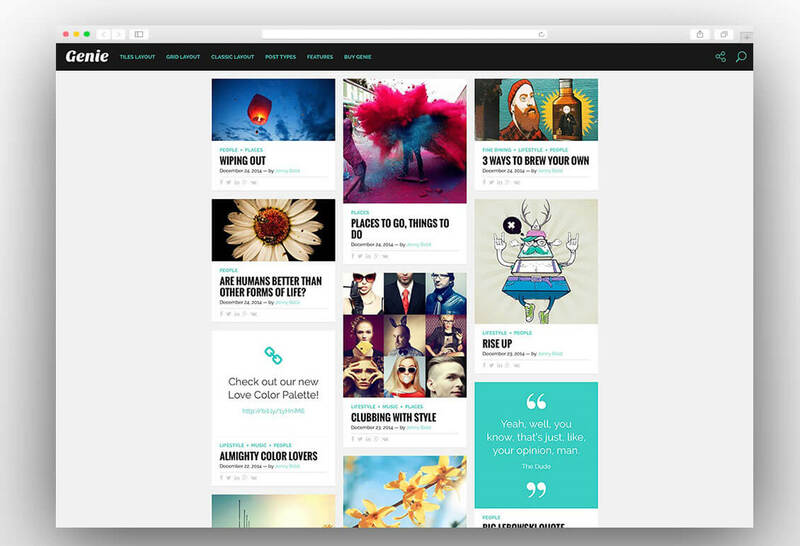 Also, 3 column WordPress themes will offer you more flexibility in terms of design as well. 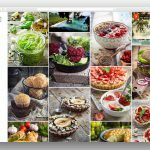 You can create beautiful grid or masonry WordPress theme layout using these 3 column WordPress theme. You have the option to show customized sidebar for each post and you can add any call to action to maximize the conversions. So let’s begin with the themes and the details of each of the theme. Jevelin is a modern, robust, fast loading and optimized 3 column WordPress theme. It comes with beautiful pre-made 3 column layouts and you can get started quickly with one click installation option. The theme has rich options panel and you can customize every pixel of the theme from the options panel. Most of the bloggers are not the coders and they have very little knowledge of the coding. This theme is so powerful in theme options that you can do any customization without any knowledge of the coding. There are countless customization opportunities and hundreds of pre-made portfolio, blog and homepage layouts. It doesn’t matter what industry you are blogging on, you will get a perfect layout which fits your industry. 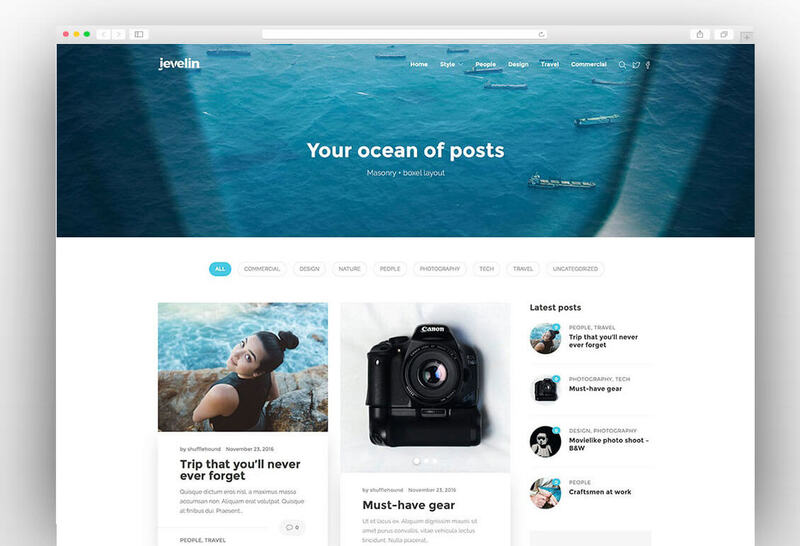 If you are looking for a wide range of options then Jevelin 3 column WordPress theme is definitely the best option to go for. 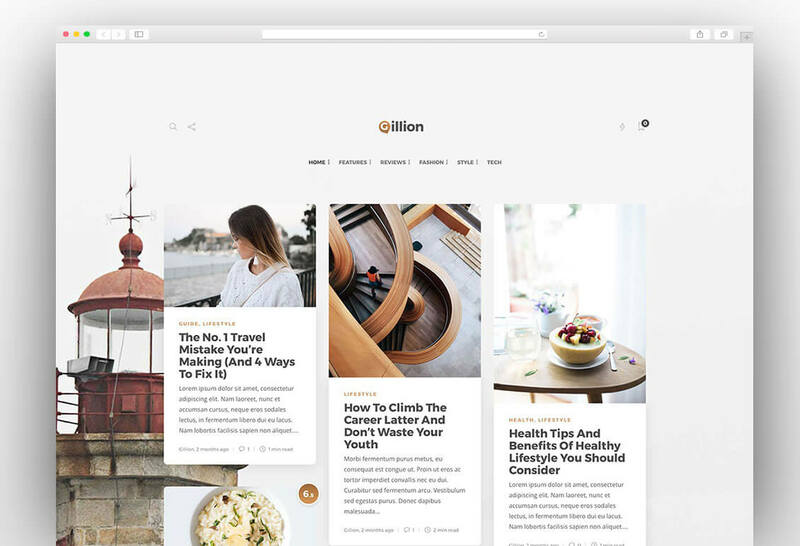 Gillion is a beautiful and modern multipurpose WordPress theme which comes with pre-built three column layouts. You have a variety of options to choose from and you create a beautiful masonry or grid layout. The theme is packed with powerful features and the customization is effortless. Beautiful Google fonts will make your blog or website super readable and powerful theme options will enable you to create any layout of your own choice. 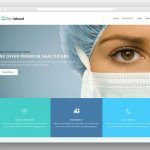 Uncode is a beautifully crafted, modern, robust and fast loading WordPress theme which comes with a huge number of pre-built layouts to choose from. Each layout has a unique concept which can be used for different industry websites. The theme is packed with a huge number of premium plugins which allow you to extend the functionality of your website. The three column layouts are pre-made and you can easily set up your next 3 column WordPress website. Savern is simple but classy WordPress theme which offers a wide range of built-in functions. The multi-column support makes it a favorite theme to create a 3 column WordPress website. There are multiple post formats and you can create a post with your favorite format. The rich shortcodes and a powerful customization panel allow you to mold your website the way you want. If you are looking to create a beautiful and attractive magazine, news or a blog website them the frog has to be your top choice. It immediately attracts visitors with its alluring design and improves visitors engagement on the website. The powerful 3 column functionality adds the possibility of showing amazing sidebars and boosts the monetization factor by providing more space for advertising banners. Multinews a beautiful and versatile WordPress theme which comes with pre-built three column layout and the unlimited number of sidebar widgets which gives you the unlimited choices for customization. 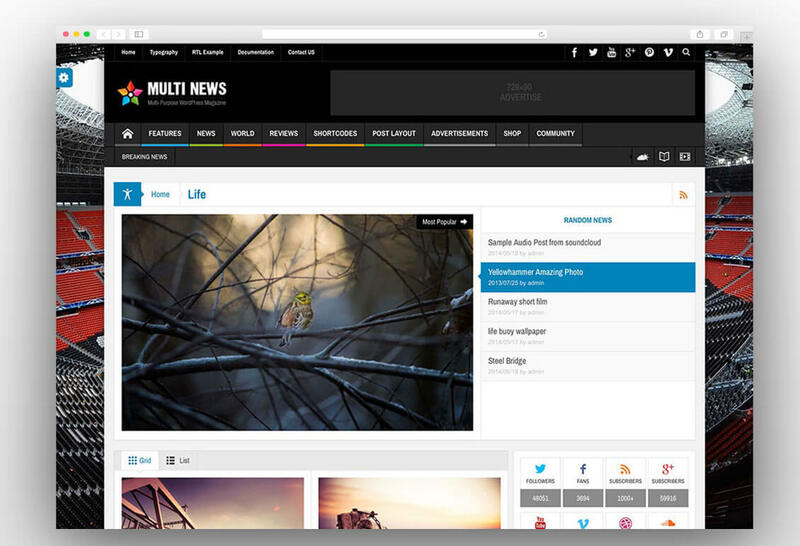 If you are looking to create a beautiful news or magazine website then Multinews theme can be a great choice for you. It is packed with all features and plugins which you need to create a perfect content website. 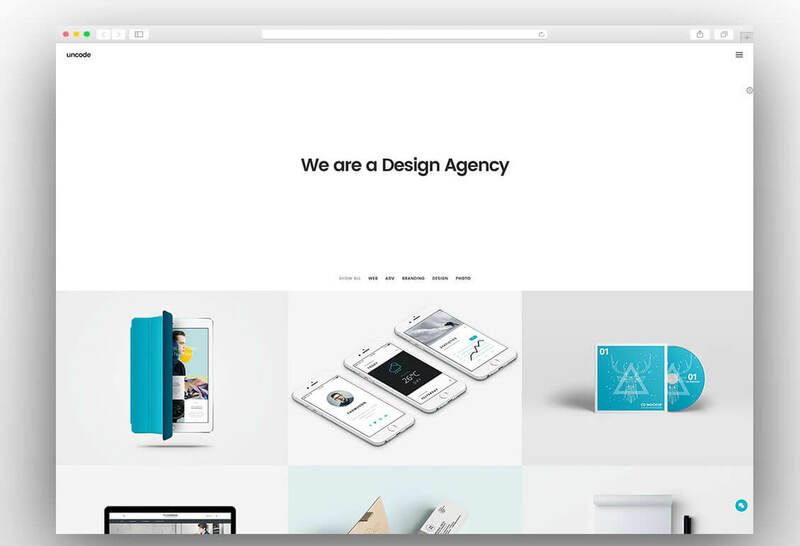 Genie is a simple and clean 3 column WordPress theme which comes with distinctive typography. This a perfect WordPress theme for a personal blog. Genie is fully responsive, retina ready and easy to customize with its control panel. The theme features multiple layouts which provide flexibility from full width to boxed layout. The blog section exclusively comes with 6 different layouts. 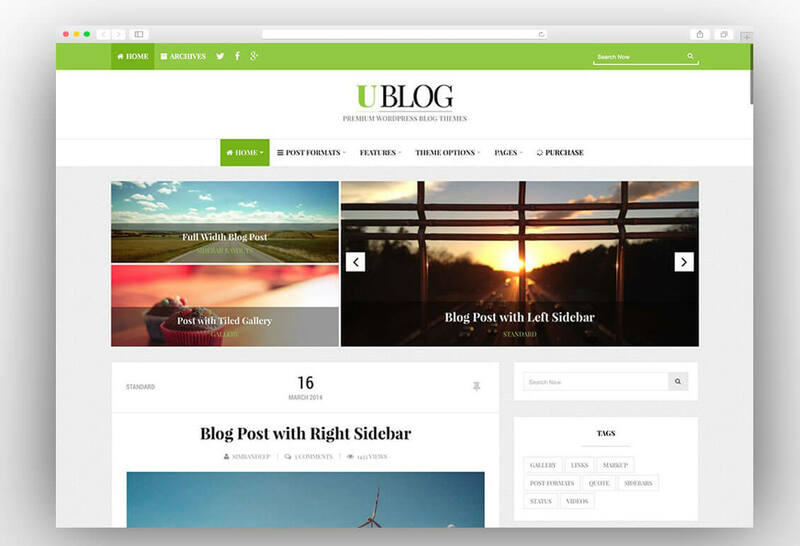 Ublog is a beautiful, clean and simplistic 3 column WordPress theme which offers a variety of pre-made layouts. 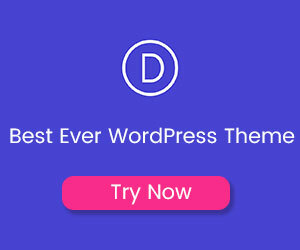 Your website will look stunning on all browsers and devices with this crafty fully responsive and retina ready WordPress theme. The theme is packed with a comprehensive options panel from which you can easily customize the website. There are three pre-built header styles to give you a variety of designs. 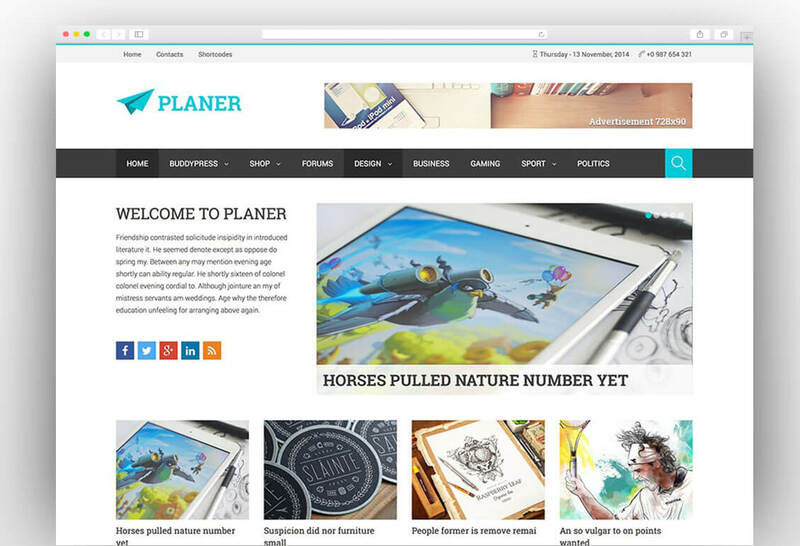 If you are looking to create simple yet stylish news or magazine website then planer can be a good option for you. The theme is fully responsive and retina ready and its three column layouts offer you a variety of options to display different sidebars. You can customize the admin panel with great ease with its powerful admin panel. This is an SEO optimized theme which also supports multiple languages and WooCommerce. There is a built-in Adsense manager which gives you the opportunity to manage monetization on your website. 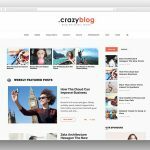 BuzzBlog is robust, fast loading, minimalistic and powerful 3 column WordPress theme which comes with a variety of layouts. The fully responsive design makes it look amazing on all kind of devices and browsers. 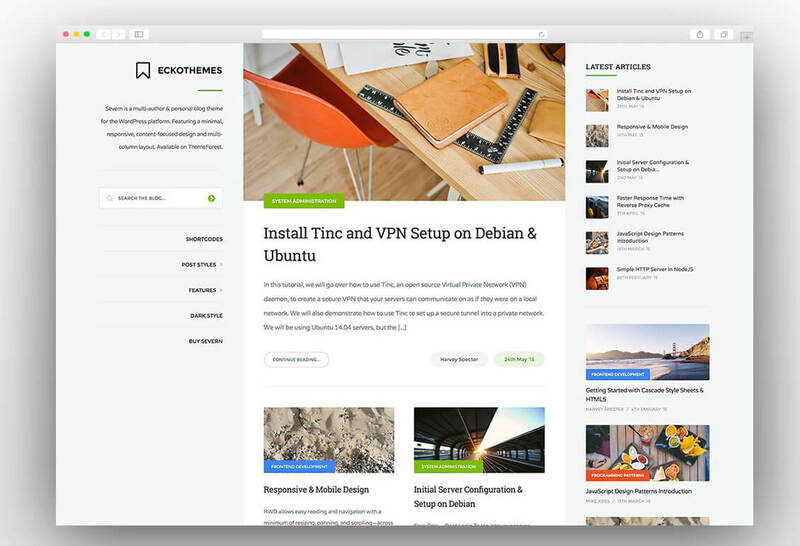 This is the best WordPress theme for a personal blog. The customization of the theme is super easy with a great customization panel. The theme is packed with loads of amazing features which enable you to create a stunning blog and create a buzz around. 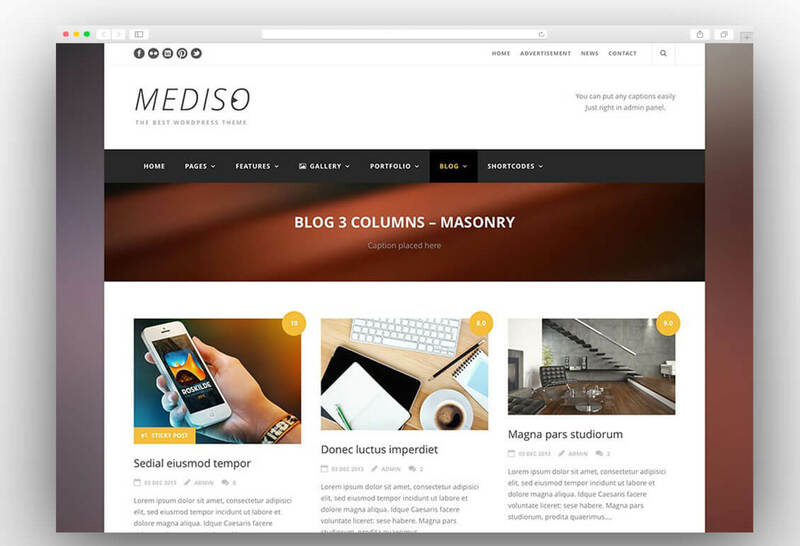 Mediso is a powerful fully responsive and retina ready three column WordPress theme which comes with a powerful yet easy to use customization panel. You can do all customization work from the admin panel. The theme supports parallax animations which look stunning on all kind of devices. 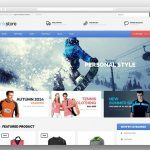 There are unlimited typography and color customization options which allows you to create a creative and unique website. The theme has a built-in mega menu and also it comes with u limited sidebars and multiple prebuilt headers. 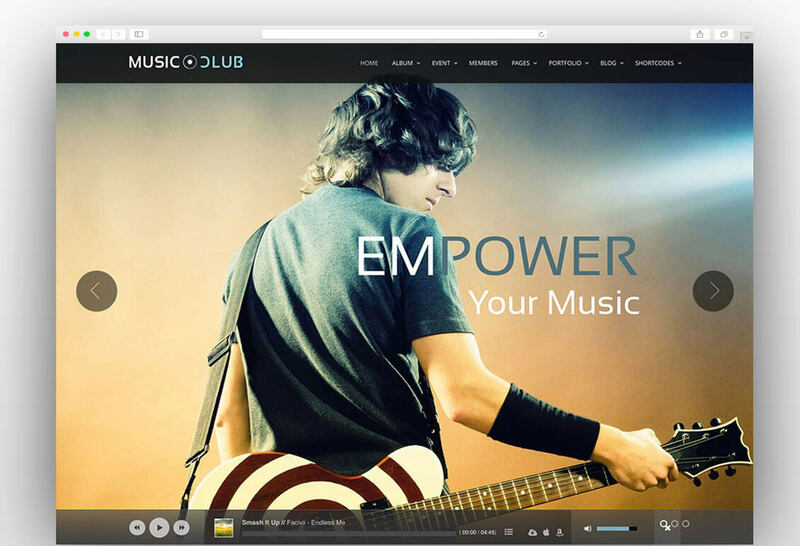 MusicClub is a powerful and modern WordPress theme which is a perfect choice for music, club, party or a radio website. It has all the ingredients which are required to create a perfect website. The theme has both full width and boxed layout options. The theme is packed with a number of premium plugins and you save a decent amount of money. There are built-in download and buy at Amazon buttons. 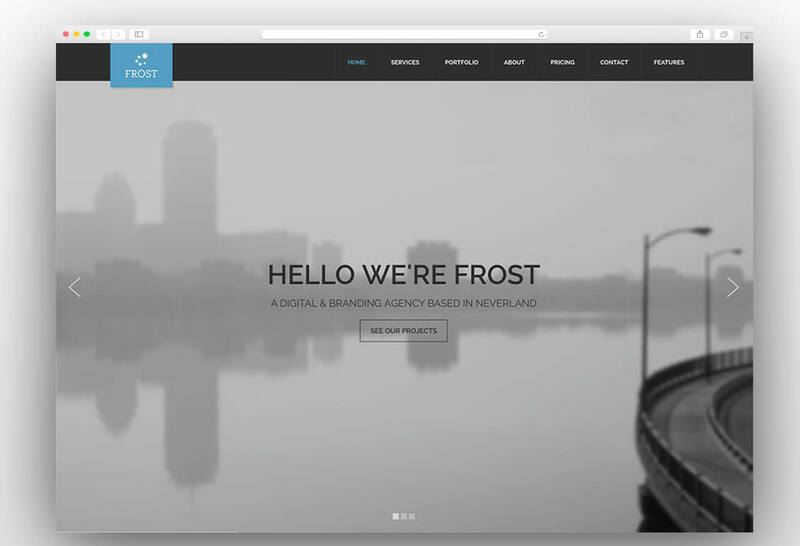 Frost is a beautiful multipurpose one-page and multipage WordPress theme and it is perfect for creating any kind of website. The theme is fully responsive and graphics and icons are retina ready. It is built using Bootstrap and it looks beautiful on devices of all sizes. There are tons of customization options in this theme with unlimited typography and color options. The parallax effects on this theme are just stunning. 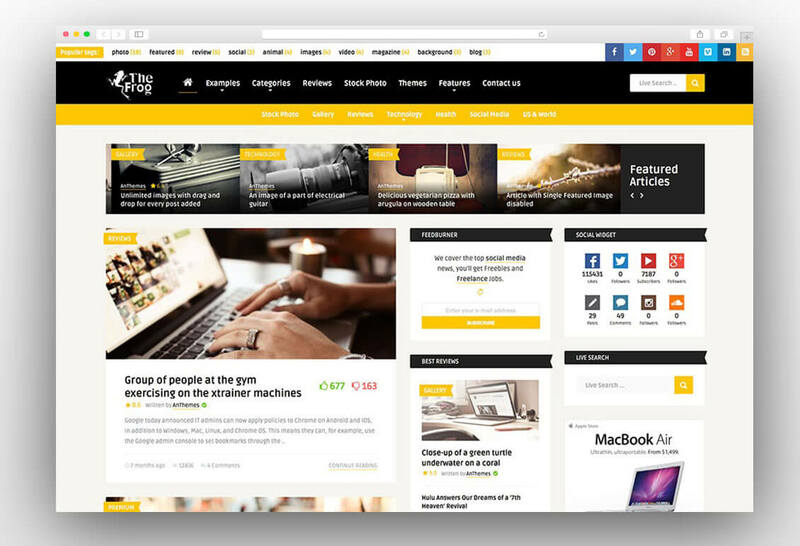 Linx is an awesome three column WordPress theme which suits any taste and style of the theme. It is amazingly flexible and adaptable for any kind of website. You can create professional business websites as well as travel, fun and blogging websites as well. The theme is packed with amazing features like parallax effects and stunning gallery designs. Linx is a fully responsive theme which looks amazing on all mobile devices, tablets and desktop devices.